The crowning jewels of the Luna Twilight collection are found in these six kits, reflecting the mood and spirit of the iconic characters from the Twilight saga, bringing together a harmonious collection for lips, cheeks and eyes. 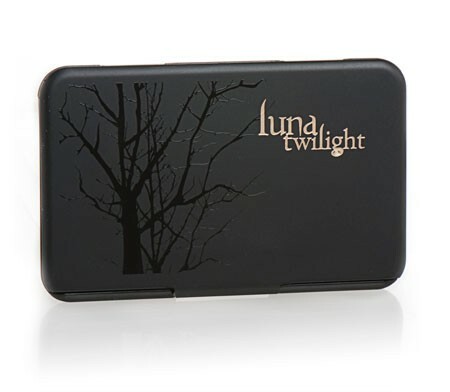 Team Edward - This palette recreates the soft and sweet yet icy persona of Edward Cullen. 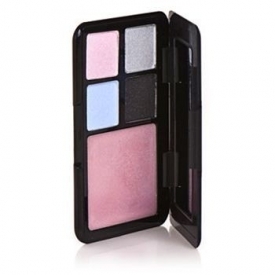 Matte pink and periwinkle shadows are coupled with a luminous silver and sparkling jet-black for a smoky effect. Complimented with an iridescent shimmering pink gloss that doubles as a highlighter, this palette offers endless ways to recreate your look from day to night. Apply each lip and eye colour separately or layer them both for a dimensional effect. Powder blush should be applied just behind the apples of the cheeks and blended along the cheekbone.